One of the major issues facing endodontists, and many general dentists, is the ability to control and limit excess moisture during restorative and surgical procedures. During root canal therapy, the treatment area must remain dry in order to create the proper seal and avoid blood contamination within the tooth. Fortunately, Dr. Brian Buurma works with a new material called Mineral Trioxide Aggregate (MTA), a powdery cement-like substance that helps your Holland Endodontist properly repair and seal perforations in the areas between the root canal system and the oral cavity. What makes this ‘glue’ unique is its ability to seal and set despite the presence of moisture. During many endodontic procedures, the presence of excessive moisture makes it more difficult for your Endodontist to properly seal a crown, cap or repair a perforation. MTA has proven to be superior to traditional materials, such as amalgam or composite resins, since it is biocompatible, antibacterial and has been shown to be especially effective in moisture-rich environments such as your mouth. Unlike more traditional oral cements, MTA is not affected by moisture or blood contamination and actually works best at sealing an area where liquid is present. Dr. Buurma uses this state-of-the-art restorative material because it is easy to use, seals well, does not resorb and is biocompatible, helping to support the formation of new tissue. MTA has also been successfully used to repair horizontal root fractures, root resorbption, internal resorbption, furcation perforations, apexification and apexogenesis. If you would like to know more about mta perforation repair, Dr. Buurma and his staff can help you understand your options and choose the best solution. 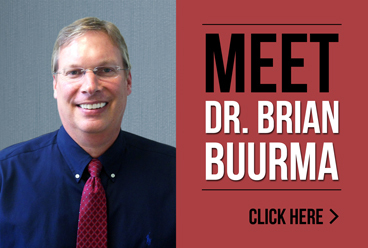 For more information about Brian Buurma DDS or mineral trioxide aggregate, please contact our office or call us directly at 616.994.9722.